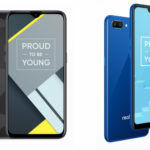 On the occasion of Republic Day in India, Realme is offering discounts on three of its smartphones; the 2 Pro, U1, and C1. 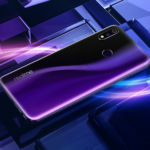 According to the press release, the Realme 2 Pro and Realme C1 will be available with the discounted price on Flipkart, whereas, the Realme U1 will be available with the discounted price on Amazon India. 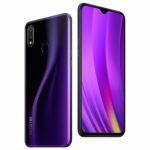 Realme has not mentioned clearly whether the discounts will be available on its official online store or not. All three smartphones will be available with the discounted price starting from 20th January 2019. 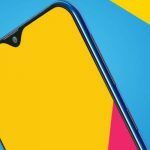 The Realme 2 Pro will be available with a discount of INR 1,000, whereas, the Realme C1 will be available with a discount of INR 500. 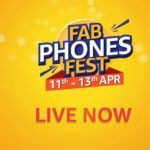 Additionally, Flipkart is offering an extra 10% discount on these two smartphones if you make the payment with SBI credit card. As for the Realme U1, it will be available with INR 1,000 discount. Amazon India is also offering No Cost EMI, and 10% extra discount on the Realme U1 if you make the payment through HDFC bank debit or credit card. With the discount of INR 1,000, the Realme 2 Pro will cost INR 12,990 for the 4GB + 64GB variant, INR 14,990 for 6GB + 64GB variant, and INR 16,990 for 6GB + 128GB variant. The Realme C1 with its INR 500 discount will cost INR 6,999 instead of the ongoing price of INR 7,499. Lastly, the Realme U1 with its INR 1,000 discount will cost INR 11,990 for 3GB + 32GB storage variant, and INR 13,499 for the 4GB + 64GB variant. The press release also mentions that there will be a few activities on the brand’s official online store, which will give the users a chance to win coupons and goodies. The first activity is what the brand calls as Republiek Heros, where, all the users who participate in this contest will get a coupon worth INR 100. Users can then invite their friends to this contest to win coupons worth up to INR 1,000. Now Realme has not mentioned where these coupons can be used; our guess is that they can be redeemed on Realme’s official online store. Furthermore, Realme is also offering 100 free Realme Earbuds and also Realme smartphones to lucky winners who participate in this contest. The Republiek Heros will commence from 18th January to 20th January. The second activity is Republic Badge which will be held from 18th January, where active community members and active participants from Realme Yo! Days will get a coupon worth INR 300. Again, the brand has not mentioned where these coupons can be redeemed. 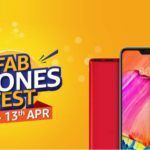 The last activity is Republic Wish, where, Realme is offering up to 5 Realme U1 devices, and 100 Flipkart coupons worth INR 500 to lucky winners. The Republic Wish will commence from 20th January to 23rd January.